Powered by proprietary CAT5™ technology, the DNAstorm™ extraction kit enhances the removal of formaldehyde-induced damage and provides DNA with higher yield and quality and greater amplifiability. The DNAstorm™ kit is the best solution for next-generation sequencing and other advanced applications. We also offer the RNAstorm™ kit for extraction of high-quality RNA from FFPE tissue samples. 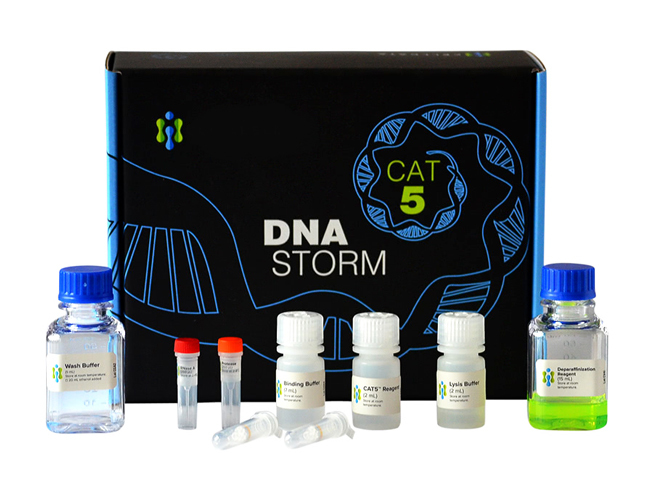 The RNAstorm™ and DNAstorm™ kits can be combined to obtain both pure DNA and RNA from the same tissue section. See our App Note – Dual DNA and RNA Extraction From a Single FFPE Sample. DNA from four different FFPE tumor samples (colorectal, lung, bladder, and esophagus) was extracted using the DNAstorm™ FFPE kit along with a popular competitor’s kit. Equal amounts (500 ng) of DNA were loaded and run on a pulsed field gel. 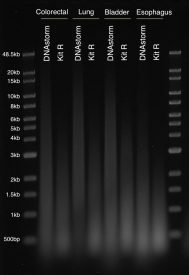 Significant improvements in average DNA size are seen using the DNAstorm™ kit. 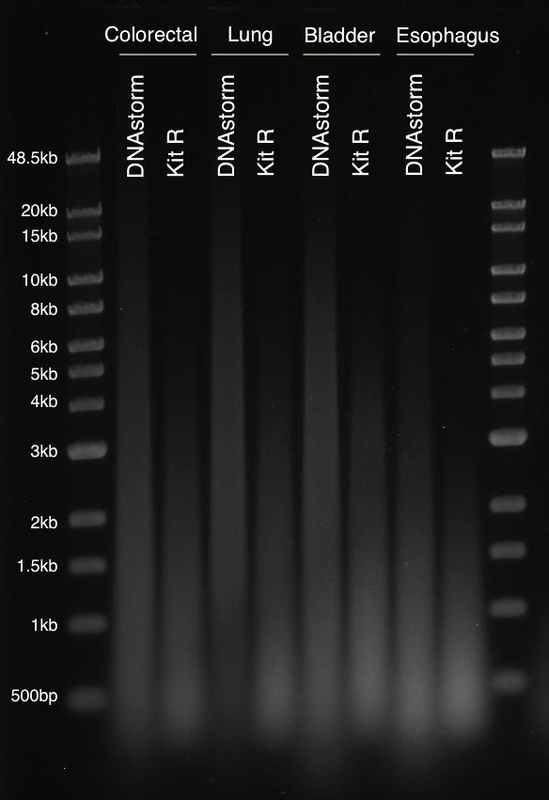 “Kit R” represents a competitive commercial DNA FFPE extraction kit.